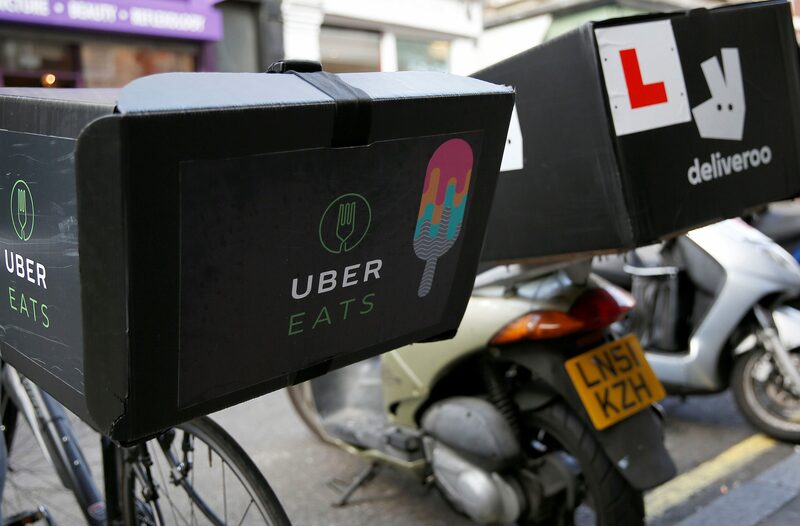 The 4.9 bln pound UK food-delivery group is leaderless and faces an activist investor. It could keep investing in its delivery services to fend off Uber, but peers like Takeaway.com and Delivery Hero are doing the same. Just Eat’s cut-price valuation could force the board’s hand. Activist shareholder Cat Rock Capital Management on Feb. 11 urged British takeaway website Just Eat to merge with a peer, saying it would benefit from a deal rather than appointing a new chief executive officer. Just Eat said in January that CEO Peter Plumb would leave the company immediately. Cat Rock, which owns 1.7 percent of Just Eat's shares, wants a merger with a "well-run industry peer". The U.S. hedge fund also said that if Just Eat continues to ignore shareholder feedback, it intends to take further action in advance of the annual meeting scheduled for May 1. Just Eat shares were up 1.6 percent to 7.15 pounds at 0905 GMT. Shares in Amsterdam-listed Takeaway.com were up 1.1 percent, while shares in Germany’s Delivery Hero rose 0.8 percent.